Hey guys! I have another look/review combo for you! This time it is the Silver Stud Rhinestones from the Born Pretty Store. Normally these studs are used for nail art but since I am no expert on nails, I used it on my face! Much like I did for the original Rhinestones. I saw a photo on beautylish that used gold rhinestones for eyeliner and I thought it was the coolest idea, so I tried it out here using the silver stud rhinestones. I have been dying to use some color and to really do something funky with my lips, sometimes you can't be afraid to take a chance, I hope you guys like it. I just used and eyelash glue to adhere the studs to my lid. It was a bit annoying though because the glue kept getting in my lashes and drying up before I could get the stud to adhere. My fault, but nonetheless, still annoying lol. They came in a little plastic bag, unlike the other rhinestones, which came in a pill case. I think I prefer the pill case over the bag but the bags are much more efficient when it comes to saving space. 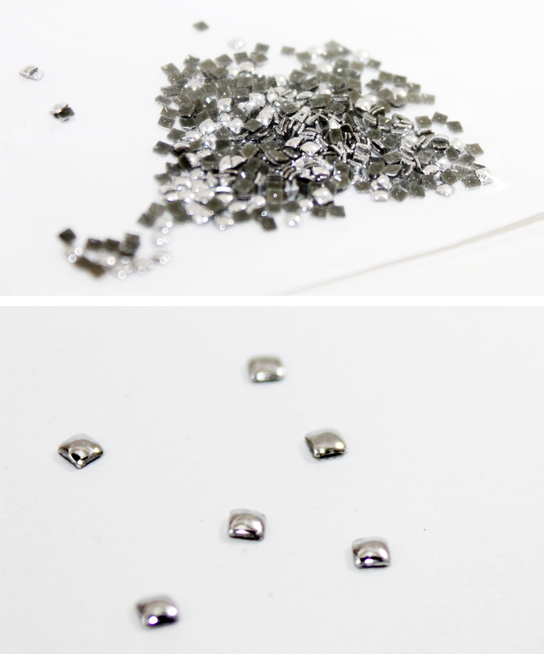 The stones are 2mm in diameter and are great for any sort of cosmetic need. You can use them on your eyes, face, lips and nails, as long as you know how to adhere them. I love these and will defiantly be using them in my next manicure. Amazing amazing! I love how you used the rhinestones!!! Wow, so creative! You look amazing! Wow! Amazing make-up! 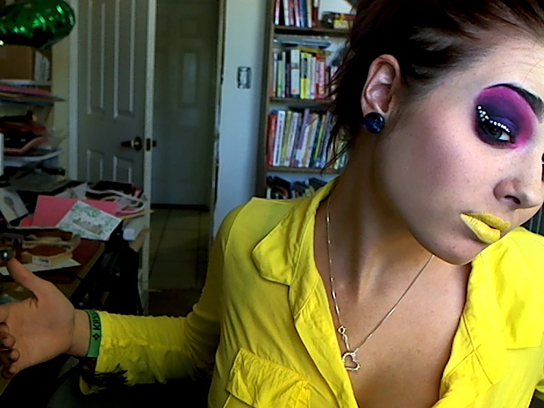 Yellow lips? - U're genius!